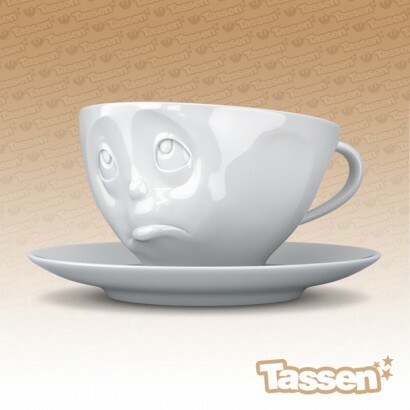 Start your day with a shot of caffeine and a whole host of personalty with these charming Tassen emotion coffee cups. 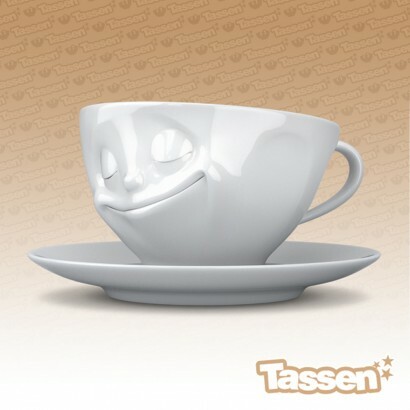 Each coffee cup is made from sturdy white polished porcelain and comes complete with it's own saucer and emotional expression including the adorable kissing face, the happy face, the grin, and the weary oh please expression. 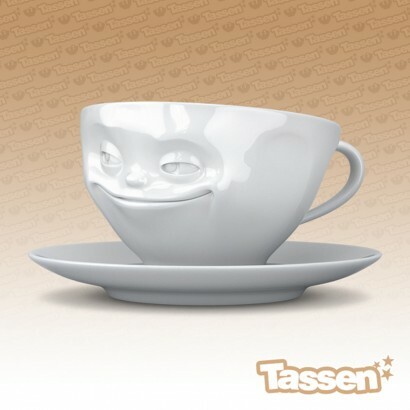 With a 200ml capacity, there's enough volume to give you a decent caffeine hit and the quirky faces will see you on your way with a smile.